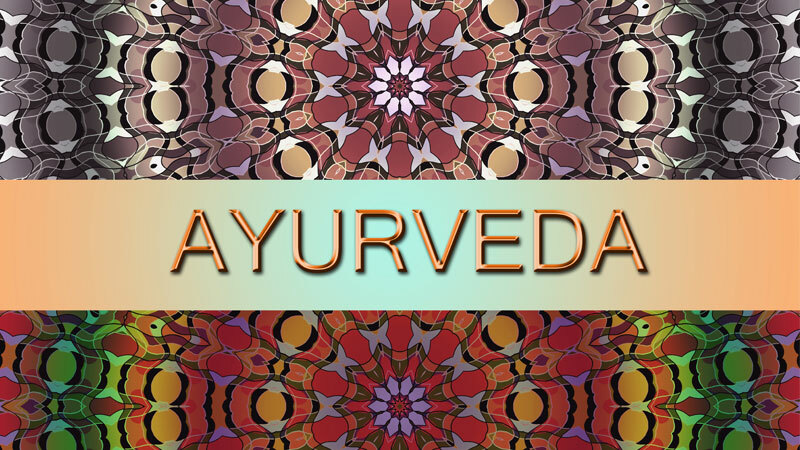 Ayurveda is an ancient Indian healing art, which is one of the oldest systems of medicine! In Sanskrit it means “The Science of Life.” Ultimately, it is centred on the idea that our bodies, minds and souls have to be in harmony for us to be healthy. We are born with a unique ‘constitution’ of energy and the idea is to keep this balanced. Ayurveda works out how to do this, based on our unique mix of the five basic elements, and how these combine to make up our ‘life force’ energy – called a dosha. The underlying belief is that our doshas have to be in balance for us to stay healthy, and this is achieved through ensuring balance in life, via our diets, lifestyle and use of herbs and essential oils. Ultimately, it is a holistic approach, similarly to Aromatherapy. Given the similarities, the two modalities go hand-in-hand. So, what better way to stay balanced than to combine the two? Essential oils are often used in Ayurveda, so we thought it would be nice to share a little bit about which essential oils can help harmonise each dosha! According to this science, we are all a unique balance of the elements – Space, Air, Water, Fire and Earth. Ayurveda says that these elements have to stay in harmony for us to stay healthy, and that a lack or an excess in any one (or more) can cause imbalance and dis-ease. These elements are defined in three energy styles – and these are called ‘doshas’. Whilst our constitution can lean towards one more than another, we do have elements of all three within us. The cause of disease, according to this system of medicine, is when there is a strong excess or deficiency of one of these, which is different to our innate constitution. The whole aim of Ayurveda is to balance doshas to rebalance health. Whilst we are a combination of all three doshas, there is usually a tendency toward one or two. Here are some descriptions of each type below, so you can try and see which you resonate with most! If you want to get more of a breakdown, look online as there are some fun online quizzes you can do, to find your unique mix! Vata’s attributes are dry, light, cold, rough, subtle, mobile, and clear. A person who is predominantly Vata is generally quick, flexible and creative, and often slim build. Mentally, they are excitable and emotional. They hate routine, don’t like planning and can be forgetful (think air and space elements! ), though are usually alert and active! They can feel ungrounded, and lack confidence, and in an imbalanced state can become fearful and anxious. Vata controls basic body functions. Physically, they like astringent foods (e.g. salad and raw foods), but are balanced by warm, cooked, sweet, sour and salty foods. Vata are susceptible to ‘air’ element illnesses, such as pneumonia, as well as arthritis, skin problems, headaches and constipation. They sleep very lightly, and things like travel, noise, drugs, sugar and alcohol can imbalance them. They are balanced by water and heat - steam baths and massages are helpful, aromatherapy wise! Also, keeping warm, calm, having routine, getting rest and avoiding cold foods can help balance Vata. Pitta attributes are oily, hot, light, mobile, and liquid. A Pitta person is generally warm, sharp and penetrating! Pitta’s nature is fiery. They are alert, intelligent, and always very driven and purposeful, but when imbalanced, they can become angry, aggressive and lose their temper. They are often leaders, and planners and are very strong-minded. Physically, they are average height and build, often quite muscular, with soft, copper skin and freckles. They have good digestion and appetite, having a preference for hot, spicy food, but they are balanced by sweet, bitter and astringent tastes. They sleep well and are generally warm! They do have a low tolerance for hard physical work, sunlight and heat. Imbalances they often suffer include fevers, inflammation and irritation, for example heart-burn, prickly heat, sunburn. Pitta are balanced by coolness and should avoid heavy oils, choosing lighter, sweeter oils, such as Coconut oil. They are also balanced by avoiding excessive heat, limiting salt and eating cooling, non-spicy foods and exercising during the cooler part of the day. Kapha’s attributes are heavy, slow, cold, oily, slimy (smooth), dense, soft, stable, cloudy, sticky. A Kapha type is strong, with endurance. They are very loving, sweet, stable and grounded, calm, tolerant and forgiving. They might be slow to understand things, but they have excellent memory. In their imbalanced state they can become possessive and attached. They hate stress, love routine and make great team players. Physically, they have large eyes, thick skin and well-developed, heavy-set bodies, with a slow metabolism, and they shun exercise. They sleep well, and deeply, and can be seen as lethargic or lazy in their imbalanced state! They love sweet, salty and oily foods, but do better with bitter, astringent and pungent foods. Imbalances they suffer with include watery issues like sinusitis, mucous issues, water retention, headaches, excess weight and flu and immune system challenges. Kaphas are balanced by stimulating oils, as well as exercise, avoiding naps, and eating light, dry food. Which essential oils suit your dosha? Given the descriptions, we can now have a little look at the types of essential oils that might support each dosha! Then, you can get blending using our suggestions. Remember, you always generally need to pick the balancing options for your dosha type – i.e. if you are a hot Pitta, you need cooling to balance yourself! It's also worth noting that each dosha is associated with a season - Vata with Autumn and Winter, Kapha with Spring and Pitta with Summer - so you can also choose blends that will restore overall balance in each of the three seasons. Carrier oils that are good for Vata include rich, warming oils like Avocado oil or – as they do well with seeds – Sesame oil! Remember that Vata are better for steam, too! Add a beautiful blend to a warming bath and enjoy some relaxation time – mix 2 drops Bergamot, 2 drops Geranium and 2 drops Patchouli in 15ml Bath Oil and add to your bath water. Breathe in the beautiful aromas and allow yourself some calmness to ground you. Diffuse a nice, grounding meditative blend of 3 drops Neroli, 2 drops Frankincense and 1 drop Myrrh in an aromatherapy diffuser or candle burner, and make some space to sit in the stillness. Try a grounding self-massage, with a beautiful blend of 3 drops Rose, 2 drops Clary Sage and 1 drop Ylang Ylang mixed in 5ml of Avocado oil and 10ml Sesame oil. Spend some time getting back in touch with your body, massaging the oil into your skin gently in the direction towards your heart. Grounding on the go – why not make a pulse-point rollette to carry with you for when you need balancing? Mix 5ml Avocado oil and 5ml Sesame oil with 2 drops Sandalwood and 1 drop Lavender oil. Carrier oils that are good for Pitta include light, cooling base oils like Coconut oil or Olive oil! Feeling a Pitta imbalance? Diffuse a cooling blend of 2 drops Chamomile, 2 drops Rose and 2 drops Lemongrass for up to 10 minutes at a time. Need to cool down post-exercise? Mix up a massage blend with 3 drops Peppermint, 2 drops Lavender and 1 drop Yarrow in 15ml of melted Extra Virgin Coconut Butter and rub into your whole body as a post-exercise cooling ritual. You might also like to consider a cold stone therapy massage! Try a cooling spritz – mix 15 drops Spearmint, 10 drops Lemon and 5 drop Rose in a spray bottle with 100ml of either water or Orange Flower Hydrolat. Spritz over yourself as necessary to help keep cool! If you’re using water as your spritz base you can use our new Polysorbate 20 to solubilise the essential oils. Carrier oils that are good for Kapha include ‘Tri-Doshic’ (all dosha) suitable oils like Coconut oil or Shea Butter. A great way to stimulate Kapha is with a nice massage! Add 3 drops Grapefruit, 2 drops Juniperberry and 1 drop Bitter Orange to 15ml melted Extra Virgin Coconut Butter and massage firmly and quickly into your skin to stimulate lymph. A lovely immunity-boosting diffuser blend to warm and stimulate Kapha is 3 drops Bitter Orange, 2 drops Cinnamon, and 1 drop Ginger. Pulse points – try an ‘on the go’ pulse point rollette to keep you motivated during the day! Add 1 drop Bergamot and 1 drop Grapefruit to 10ml Olive oil and apply to pulse points as needed! Overall, when you’re blending, remember that this ancient healing paradigm is something that can help you to get creative in choosing different essential oils. If you are drawn to a particular oil, it can be because you are imbalanced and you crave more of your dosha style – e.g. Pitta might crave heat but be better from cool - so just be aware that it may even be the opposite that you need! Of course, that’s not to say don’t follow your intuition on prescribing yourself oils – I’m a big believer that the body knows what it wants! Now you know more about Ayurveda, some different oils might come up in your thinking - and hopefully the information here will help you ‘think outside the box’ when selecting your essential oils. Why not try our oils and give our Ayurvedic Aromatherapy a go? Here’s to happy, healthy blending!